Augusta National is the carrot. 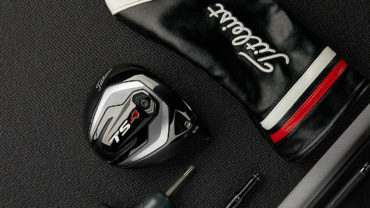 The Masters Tournament, United States Golf Association (USGA) and PGA of America dangle it like a winning lottery ticket, like a sweepstakes for junior-aged golfers and their families. Can you blame them? Having Augusta as the centrepiece of America’s Drive, Chip & Putt initiative helps make it the junior golf development windfall it has become. That and Golf Channel providing tour-level coverage, players in the Masters field and Augusta National members handing out medals, and finalists invited to stay over for Monday’s Masters practice round. Let’s not kid ourselves (apologies for the pun): This is a juggernaut. As a grassroots development platform, the Drive, Chip & Putt profile has no equal. It’s unparalleled. But it wasn’t the first. From a curriculum standpoint it might not even be best. Five years before Drive, Chip & Putt, there was the Junior Skills Challenge. Ever heard of it? CN sponsors the program. Golf Canada administers it. 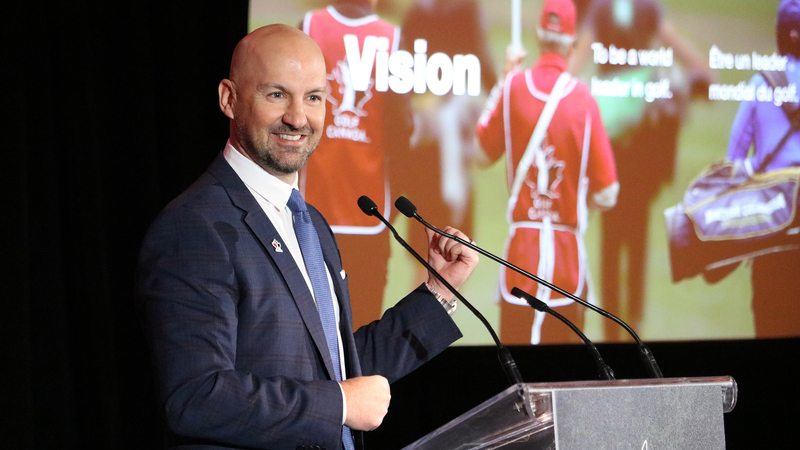 The PGA of Canada and provincial golf associations deliver it. The Canadian version actually uses a fourth category — iron play — to join putting, chipping and driving as the skills pillars. Regional qualifiers are held across the country with winners converging at Glen Abbey GC the Saturday prior to the start of the RBC Canadian Open for the finals. Up to $500 in travel subsidies are available. Did I mention Acushnet Canada provides qualifiers with more than $300 worth of prizing? Not bad, right? Wait, there’s more. On Sunday, kids participate in a nine-hole Golf Canada Junior Open tournament after the skills finals. They also get an opportunity to walk with a PGA Tour pro during the Wednesday pro-am and attend junior clinics. The clinics are hosted by Team Canada Young Pro squad members during RBC Canadian Open practice round days. “This program is community-based. Families do not need to invest significant money to travel to regional qualifiers and PGA of Canada professionals represent the front-line delivery for these quality golf experiences. What separates our Skills Challenge is the depth and quality of the CN Future Links program in its entirety. 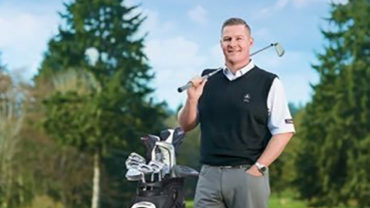 It really is an exciting platform to motivate Canada’s junior golfers,” adds Simmons. Look, I’m not here to apologize for being a proponent of Drive, Chip & Putt. It’s an amazing program. Canadians sign up and a few have even gone on to compete at Augusta. Simmons says discussions are ongoing about CN Future Links Junior Skills Challenge one day becoming a qualifier for it. Until then, however, I need to pay better attention to my own backyard. Truth is, CN Future Links Junior Skills Challenge has, rather quietly, been quite a success story in this country. Last year 3,400 kids signed up at cnfuturelinks.com to try qualifying at 168 regional events, a year-over-year increase of 28 more sites from 2014. Of those 3,400 juniors involved, 40 per cent were ages nine to 11. That’s a key target demographic Golf Canada is trying to engage. It’s promising and it bodes well for the game’s future. For kids who participate in the CN Future Links Junior Skills Challenge there’s plenty of motivation and reasons to take part. No, the Jack Nicklaus-designed Glen Abbey is not Augusta and the RBC Canadian Open will never be confused with the Masters. But that’s okay.